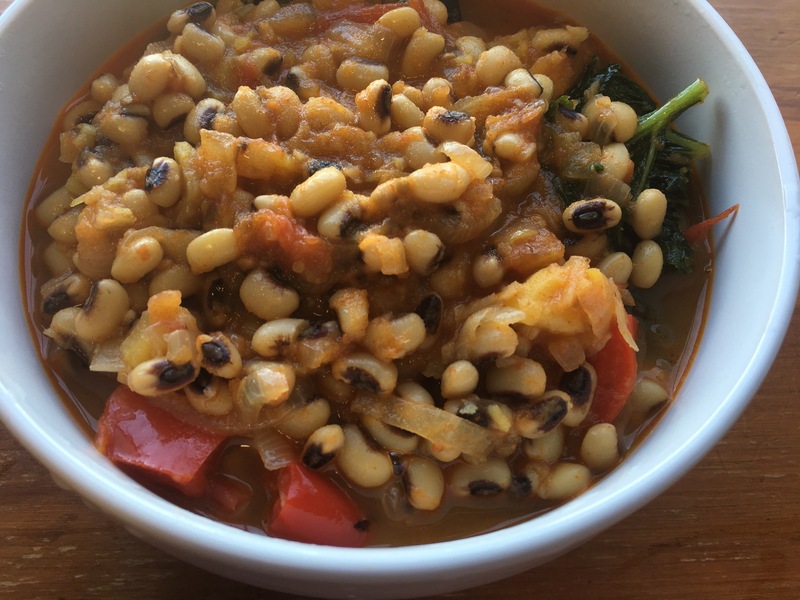 I have been wanting to make this stew for a long time. Finally, I did it. 2. Fry the onion until it is soften. Add in the tomato and bell pepper. Continue to stir to prevent burnt. 3. Add in the garlic and ginger. Fry for a few more minutes. 4. Add the black-eyed peas, tomato puree, water, salt and paprika powder. Bring it to boil. 5. Simmer it and let it cook until the peas are soft. Eat it on its own or serve it with rice.